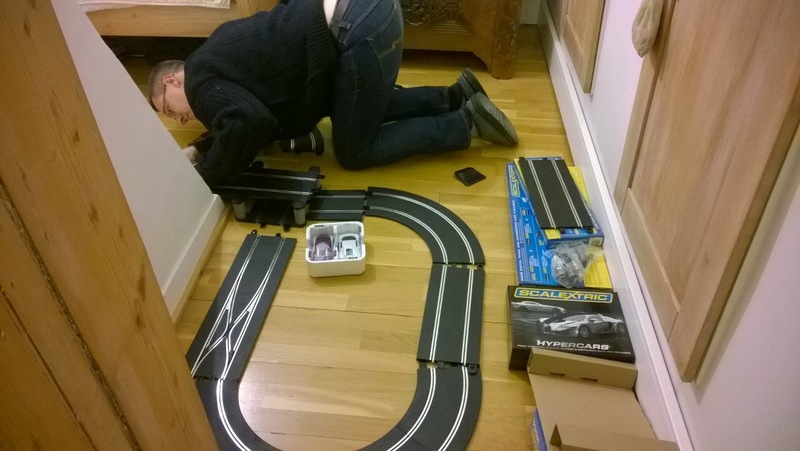 Before Christmas I had not thought about Scalextric for years. 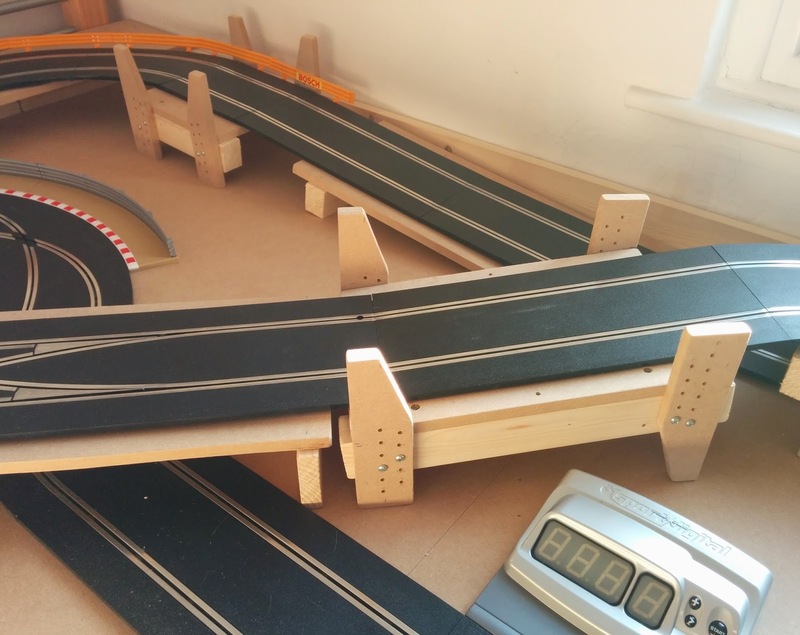 This must be the year for Scalextric because as a coincidence our firm's Christmas party had a track setup this year. 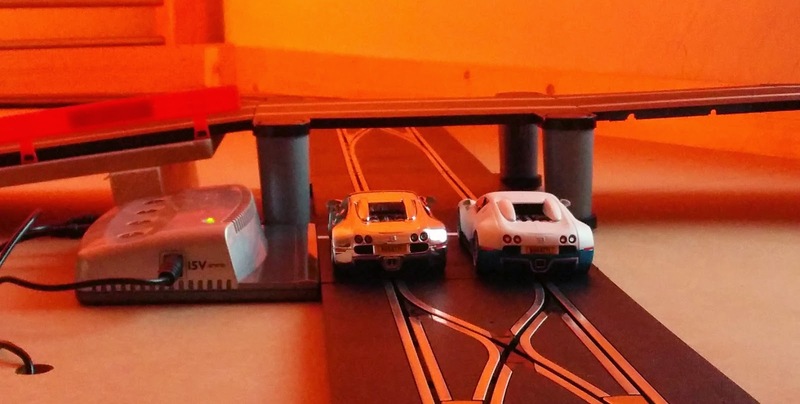 Now that I had a Scalextric of my own I started thinking and, of course, got carried away. I wanted to extend the track to fit a longer circuit in the small attic room. This would need lots of corners and multiple levels to make the best use of the 2.4 x 1.2m space in the tray I had made. 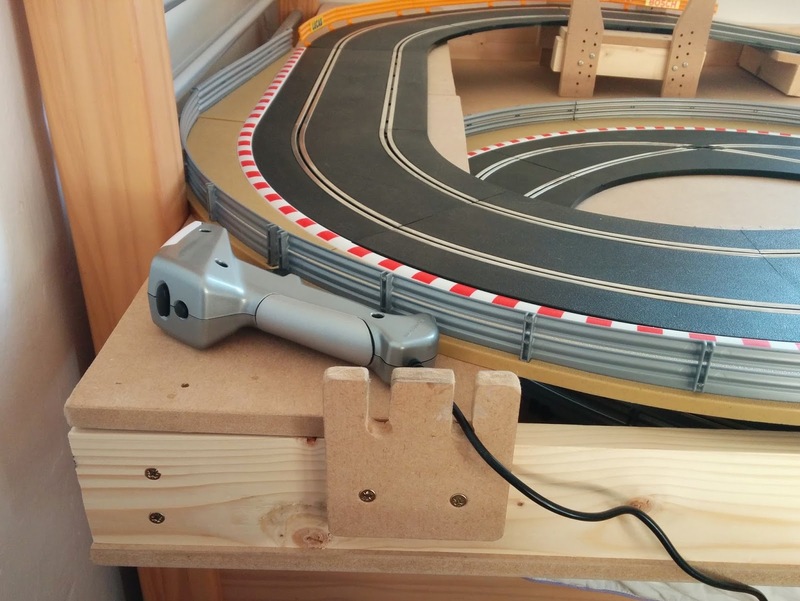 I tried the Scalextric official track design programme but it made my Windows 8 laptop screen flash and the laptop was unusable. So bad I had to go in to recovery mode and reset back to an older recovery point. I wasn't going to try that again. A bit of hunting found several other programmes that did a similar thing. For the one off use I had I settled on the free Slot Manager app. 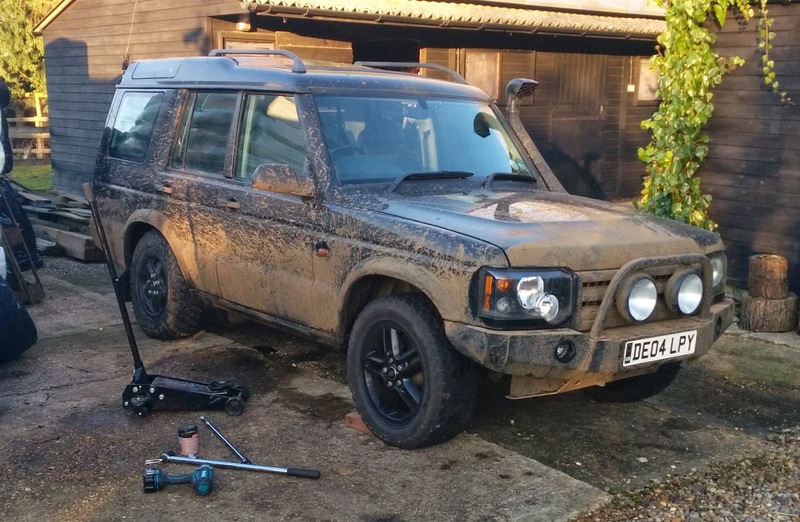 It did what I needed and I was able to work out the bits I would then buy. I've had to make all the supports strong enough to take the weight of a cat because we have discovered that for one of our kittens Scalextric is the best cat toy ever. I've also added some extra bits for convenience. The track is now so much longer and great fun. This Christmas had a surprise present. I had no idea and had not mentioned anything. Shelley decided to get me something completely out of the ordinary. Under the tree were three very large boxes. You already know what was in them by the title but I had no idea. 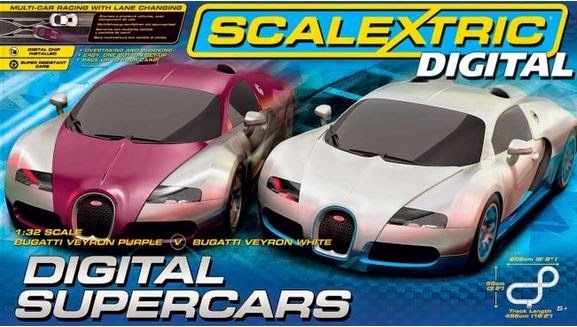 Up until that point I didn't know there was even a new Scalextric type. Digital control of the cars with multiple cars in the same lane and lane changing. Christmas day was too busy but I got a bit of time Boxing Day morning to set it up on the floor of our little attic room. Great fun changing lane but I'm getting too old to crawl around the floor for very long so I hatched a plan. 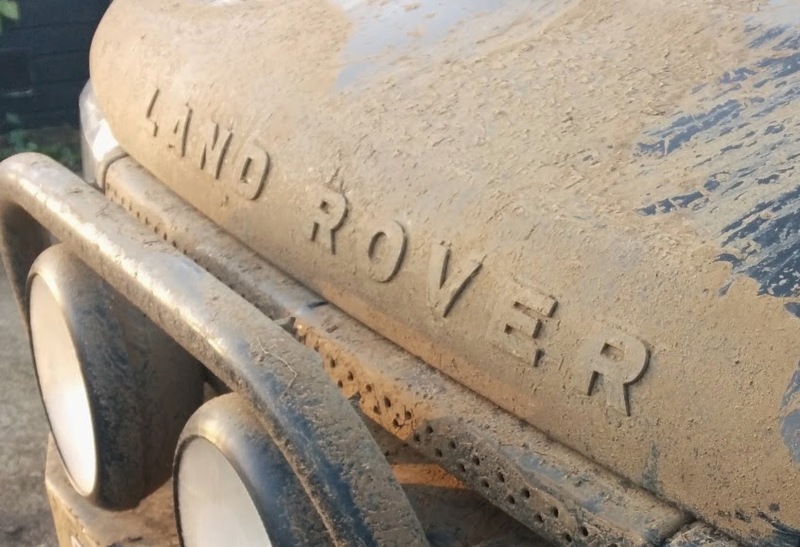 The day after, just after having returned home from off-roading, I bought some MDF sheets and timber from our local DIY store. The size of the sheets determined the size of the tray I made to fit over the attic room bed. 2.4m x 1.2m. Much more comfortable and much easier to place the cars back on the track.